I’ve been wearing rose tinted spectacles all day. Have just planted 24 bareroot roses in the stonewalled bed in front of the stables. They’re all from Tasman Bay Nurseries. I’ve gone all girly – I want bowls of fat, fragrant, full-petalled English roses to pick all summer. And, though I’m a spray-free sort of girl, I’m going to bomb the blighters with fungicide all season. Call me Bridezilla but I’m blowed if I’ll let black spot blight my big day. The aphids better watch their backs too, though it’s been such a frosty winter that I’m assuming the weather gods have well and truly sent them packing for now. 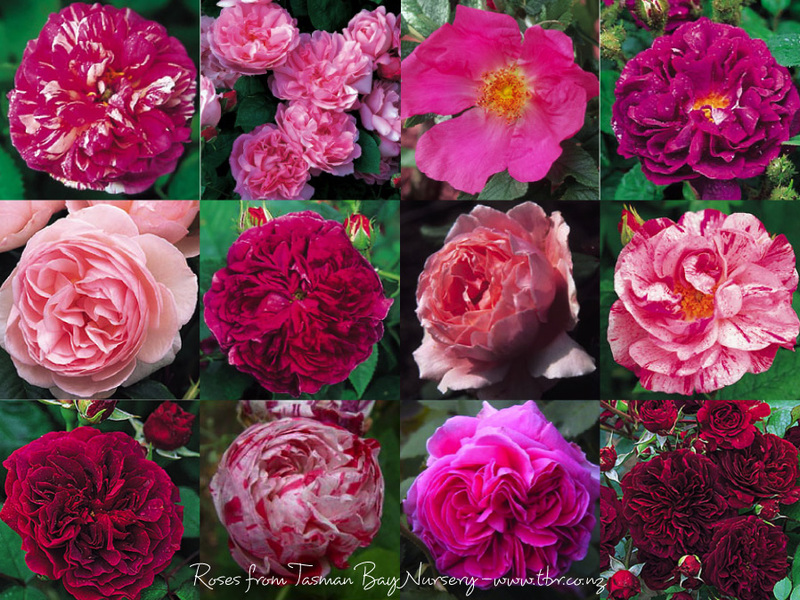 And for those of you who would like me to name names, I’ve planted: ‘Mme Isaac Pereire’, ‘Variegata di Bologna’, Rosa centifolia, ‘Chevy Chase’, ‘Gloire de Guilan’, ‘Brother Cadfael’, ‘Chianti’, ‘Falstaff’, ‘Gertrude Jekyll’, ‘Mary Rose’, ‘Prospero’, ‘Tess of the D’Ubervilles’, ‘Tradescant’, ‘William Shakespeare’, ‘Camaieux’, ‘Charles de Mills’, ‘William Lobb’, ‘Hansa’, ‘Roseraie de l’Hay’, ‘Scabrosa’, Rosa gallica versicolor, ‘English Elegance’ and ‘Heritage’.